Large-scale study shows that memory, epigenetics of a heart attack are stored in person’s genes. Cardiovascular diseases are the leading causes of death worldwide and represent a substantial economic burden on public health care systems. Now, a study from researchers at Uppsala University shows that both heredity and environmental factors influence a person’s risk of cardiovascular disease. The team state that their findings suggest the memory of a heart attack can be stored in a person’s genes through epigenetic changes. The study is published in the journal Human Molecular Genetics. Previous studies show that a person inherits genes from their parents at birth and during their lifetime, chemical modifications of DNA that turn off or on genes, known as epigenetic changes, occur. These changes can lead to the development of various diseases. Therefore, epigenetic markers are seen as having great potential as diagnostic markers before clinical symptoms have emerged, and as prognostic markers to inform the choice of clinical intervention. It is known that during a heart attack the body signals by activating certain genes, this mechanism protects the tissue during the acute phase of the disease, and restores the body after the heart attack. Therefore, it is hypothesized that epigenetic changes also occur associated to the heart attack. The current study investigates epigenetic changes in people who have previously had a heart attack. The current study performed an epigenome-wide association study for cardiovascular diseases, to identify disease-specific alterations in epigenetic methylation. Results show that there are many epigenetic changes in individuals who have experienced a heart attack, with several of these changes in genes that are linked to cardiovascular disease. The lab note that it was not possible to determine whether these differences contributed to the development of the disease, or if they live on as a memory of gene activation associated with the heart attack. The group state that 729 individuals with a history of a cardiovascular disease were identified in the northern Sweden population health study, whose blood was analysed for epigenetic changes. It includes 147 individuals with hypertension, 48 with myocardial infarction, 27 with stroke, 22 with thrombosis, and 5 with cardiac arrhythmia. DNA methylation was observed at 211 sites in individuals with a history of myocardial infarction. Results show that these sites represent 196 genes, related to cardiac function, cardiovascular disease, cardiogenesis, and recovery after ischemic injury. 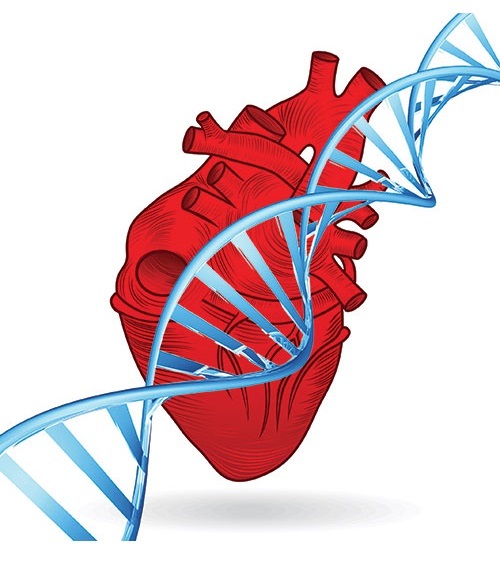 The team surmise that their findings show individuals with a history of myocardial infarction have a deviating pattern of DNA methylation at many genomic loci of which a large fraction has previously been linked to cardiovascular disease. They go on to add their results highlight that genes might be important in the pathogenesis of myocardial infarction or in recovery. For the future, the researchers state that in addition, the sites pointed out in their study can serve as candidates for further evaluation as potential biomarkers for myocardial infarction. They conclude that it is hoped their results will contribute to increasing the knowledge of the importance of epigenetics in the clinical picture of a heart attack, which in the long run could lead to better drugs and treatments.